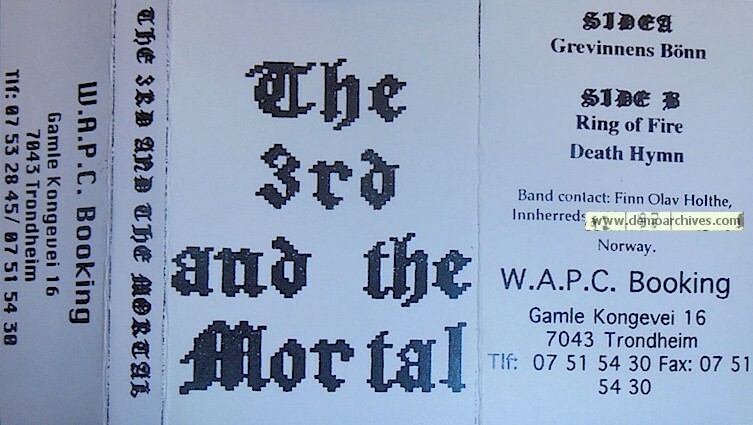 The 3rd and the Mortal was formed in Trondheim (Norway) in 1992 by Rune Hoemsnes, Finn Olav Holthe, Geir Nilssen, Trond Engum and singer Kari Rueslåtten. 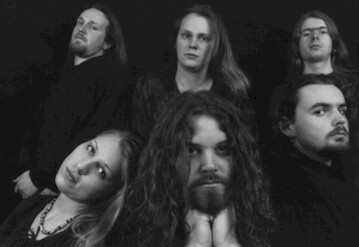 The band started out as a Doom Metal band mixing distorted guitars and heavy drumming with clean guitars and female vocals from Kari Rueslåtten. The band has since then experimented with genres such as progressive rock, jazz and electronica. They were one of the forerunners of the atmospheric metal scene having been one of the first to have a leading female singer, they inspired such bands such as The Gathering, Flowing Tears and Nightwish. Their first EP "Sorrow" was released in 1993 followed by the album "Tears Laid In Earth" (1994). After Rueslåtten's departure in 1995 Ann-Mari Edvardsen joined as vocalist. With her, the band released an EP ("Nightswan", 1995) and two full length albums; "Painting on Glass" (1996) and 1997's "In This Room", which explored an even more experimental sound. The cover was a Xeroxed cover and the tape was an studio tape usually with a sticker on the shell.